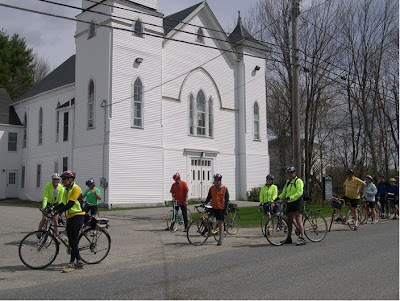 We had a great turn-out and a great ride Saturday. The weather cooperated and the route took advantage of both level ground and exhilarating downhills - a combination not always easy to arrange. 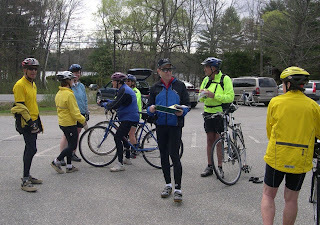 Thanks go to Frank (center) for laying out the scenic route and leading the ride from Wayne. We will try and get a map of the route and other KVBC rides posted here for future reference. 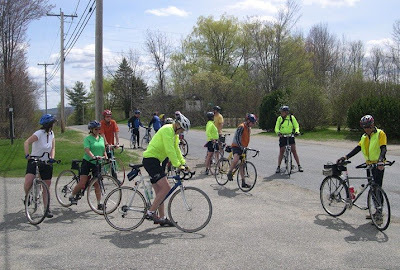 Next week's ride is in Hallowell on May 9th. Keep your tire pressure up and stay tuned for further details.